Warm paint colors are the most sought-after neutrals in home decorating. Though neutral colors may be harder to choose than you expect, warm neutrals are easier to use than cool. The undertones of warm colors are easier to see, so often it's a matter of choosing the right shade of your favorite warm neutral. Don't forget that warm colors are more than just beige or taupe. Warm colors can include beautiful shades of rust, red, and brown. The darkest warm paint colors are ideal for accent walls, dining rooms, family rooms, and front doors. Extra care should be taken when choosing red and maroon warm colors, as they can hide a troublesome cool undertone of blue, which can totally throw off your entire color scheme. Don't forget to sample any paint color you are considering. Sampling your potential paint color choices is the easiest way to recognize undertones that aren't right for your space. Copper has been gaining in popularity for the past few years, yet it may be hard to find the right copper paint color. Copper paint can sometimes look too harsh with an unexpected gold that appears once the color is applied. Sherwin-Williams Copper Pot is a balanced copper that avoids the gold undertone that plagues so many copper and rust colors. 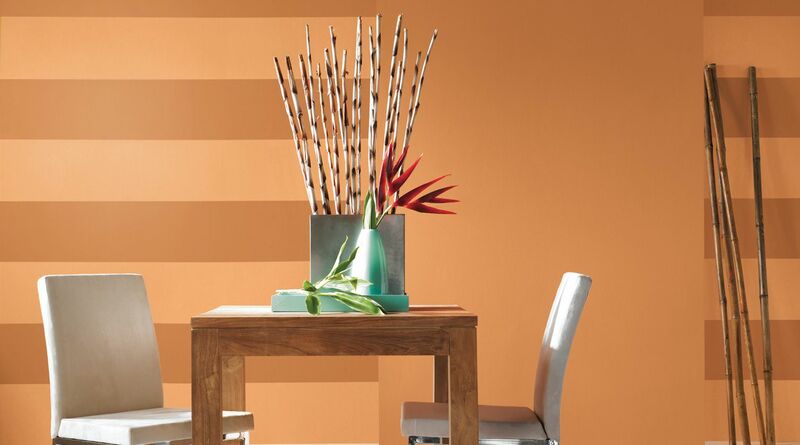 Copper paint is perfect for accent walls and specialty treatments like stripes and stencils. Sherwin-Williams Quiver Tan is a unique neutral paint color. Most likely your idea of tan paint might be closer to a rich sand color, not the deep and bronzey color of Quiver Tan. This is a dark neutral that is a natural for exterior color, or for an accent wall in a family room. A lodge or cabin-style home with tall ceilings and large windows would be a stylish choice for this strong color. Quiver Tan is best in rooms with ample light or space, as it can overwhelm a small room without adequate light. Kilim Beige could easily be the top neutral paint color. This is the neutral beige color that is recommended over and over by residential painters, decorators, and friends talking about paint over coffee. Described as the "perfect neutral" by top designers, Kilim Beige has a knack for staying true to its own color, regardless of the nearby colors. This is a great choice for a room with some color aspect that cannot be changed, like outdated tile or flooring. Kilim Beige is also a great paint color choice for homes with lush exterior foliage that casts a green color onto the interior walls. If you're looking for a dark brown with depth, Sherwin-Williams Homestead Brown may be the right color. This is a deep brown, but its depth keeps it from looking too dark or heavy. Similar to a very dark greige, Homestead Brown has a hint of gray, making it a pleasant neutral paint color. Homestead Brown would work best paired with glossy white or off-white trim. Choosing a warm red paint color can be tricky. You will want to watch out for blue undertones, or the hint of unwelcome orange tint. Sherwin-Williams Rustic Red has enough warmth to look natural and comfortable, but enough brightness to keep it exciting. This is a wonderful color for a front door, no matter your home's style. Sherwin-Williams Travertine is a warm neutral with just a hint of peach. If you're looking for a neutral without a gray undertone, Travertine is beautiful and serene. A peachy neutral paint color is flattering in bathrooms and bedrooms giving them the illusion of candlelight. Macadamia by Sherwin-Williams is super popular tan paint color. This energetic neutral paint color is a favorite for exterior color schemes and traditional decorating styles. Macadamia looks classic paired with black accents and creamy white trim. What Are the Best Beach-Inspired Paint Colors? Raise Your Glass to These 7 Hot California Wine Country Paint Colors!